Play Hard Sports stands by its name, with an industry reputation for providing the goods so everyone can rest assured that when they play hard, that the equipment will play hard too. 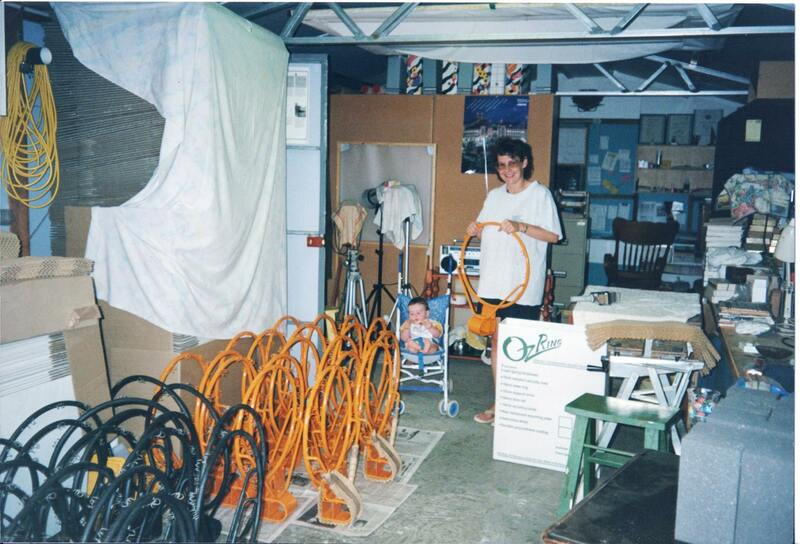 The perfect Australian success story, Play Hard started as a small family run business out of a garage circa 1994 with the very first product being OzRing basketball, its inception born from the need for a spring tension basketball rings, because of the frustration of missing or bent rings in school and council grounds. This idea expanded through international recognition at their first exhibition in Chicago USA, this recognition came as a result of their innovative designs and forward thinking in an industry that was ready for a shake-up. These events gave the owner Trevor added confidence to fill the gap in the Australian market. Being an action taker Trevor followed his dreams and decided to lead the way with a vision to enrich the lives of sports lovers and athletes everywhere. The company goal has been to keep its integrity and commit to the mission at hand to produce quality innovative and robust products over simple stock standard mass production. In its 24 years leading the market, this establishment has managed to maintain their old school values while at the same time bringing modern and cutting edge products to the table for sporting needs across the globe. Constantly revolutionising the industry with their designs demonstrated in products such as their IAAF and NCAA accredited THOR throw cage recognised as the most revolutionary throw cage design in 50 years! Why are play hard on the leading edge of their competitors? They assure us that they believe if you do what you’ve always done you will get what you’ve always got. They follow through with their motto by never following the crowd and thinking outside the box, these are not just words, they use critical thinking, to take something apart and challenge why “it’s always been done that way”. They like to start from scratch as they cover every aspect to ensure that the end result has been thought through with experience of optimal use in mind. They understand that greatness takes time, as they say, it takes 13hrs to build a Toyota and 6 months to build a Rolls Royce. You get the message by now that just meeting the standard industry requirements doesn’t satisfy play hard, they are always pushing the limits and keeping their eye on the real problems at hand and creating solutions that don’t just meet legislation as legislation alone does not mean the optimal experience for the end user. This is important considering their range includes in-stadium, club level and recreational sporting equipment for sports such as tennis, basketball, rugby, AFL, athletics, football, futsal, hockey, badminton, cricket, netball, and volleyball. The evidence further remains in the outcomes where some of Play Hard Sports asset placements can boast being installed at Sydney Olympic Park, the Queensland Tennis Centre, Robina Stadium, KDV Sport Academy Gold Coast and the Gold Coast Sports Centre – the Gold Coast Commonwealth Games’ premier training facility for athletics, hockey and beach volleyball. With sport being the common bond for over 50% of the world’s population, to be a part of servicing this through tending to a majority of the top ten sports in the world, Play hard feels a genuine satisfied sense of purpose. Their rewards further come from knowing that they are participating in the experience of the average exercise enthusiast to the seasoned athlete. For an establishment that values culture, contributing to sport is a true duty to the world.